What is a passport? In a nutshell, it is a document that is needed when you travel to other countries. It also is another way for the different countries to verify your citizenship and identity. Without this, you cannot enter a country and you might not be allowed to leave yours. Well, when you are going on a trip or even plan to stay here in Australia. You need to have these translated if it’s not in English. But don’t worry! Perth Translation is here to serve you the best passport translation service you can find in Australia! We have a massive selection of languages and love what we do. We can assure you that we are qualified to provide a service worthy of your document and you! What is the NAATI? Here in Australia the NAATI is the sole authority when it comes to translation and interpretation. Translators and interpreters who want to work professionally in Australia should adhere to their standards and not fall from it. As such, most departments and legal authorities in Australia require NAATI translations. NAATI certified passport translated documents are highly likely to be accepted by both government agencies and private companies. When your translations are NAATI certified, everything will be less of a hassle. Your document will be translated to perfection and high quality. As such, you can rest assured that your passport translation is accepted. When you have no NAATI certified passport translation, there is an astronomical chance that government agencies will not accept it. There are some who will accept your documents but with it comes to the uncertainty of wrong and mistranslated sentences that might cause problems in your processes. Perth Translation provides a quick, easy, affordable, and high-quality translation. 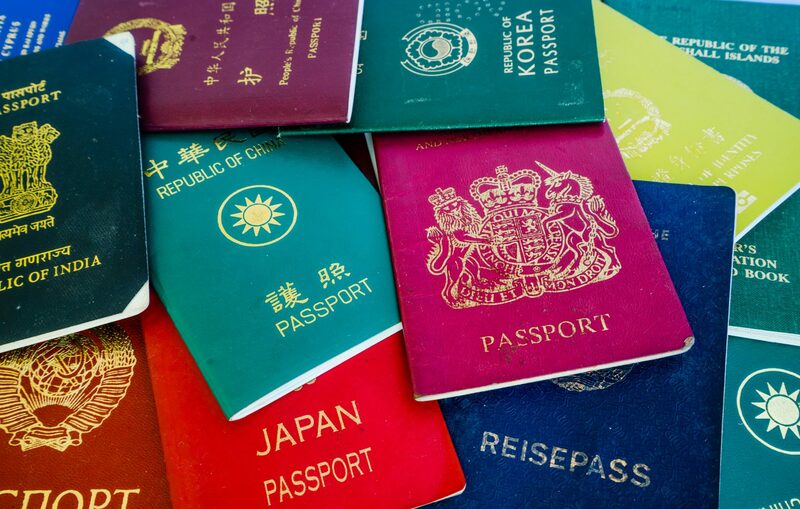 We provide passport translation services that will be 100% accepted by any government agencies and private companies. Perth Translation is also home to hundreds of NAATI certified translators who enjoy their work and love to challenge themselves. They have worked countless hours to perfect their craft, so you can be confident that your document will be handled by trained, hardworking professionals. If you are in immediate need of a passport translation service, you can rely on us. We have been in business for seven years and ever since we started, we have honed our skills and pushed ourselves to the limit, resulting in fast translations. With this, you can be confident that you will receive your passport translation on time. We also provide a rush passport translation service which prioritises your document. This means that you will get your document within a day! How great is that? Just make sure you include this on your free quote query. Another feature that we are proud to introduce is that you can order online! You heard right! You can order a passport translation service from your home or mobile phone! No more going to the office and standing in line, you can place an order when you need it at the comfort of your home. 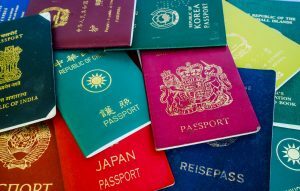 When you need a passport translation done whenever wherever, we are here to offer our service to you. Just contact us via the Live Chat feature located on our website when you have questions or wish for a free quote. We have amazing and talented customer support waiting for you. Not only are we the leading translators in the translating industry, our prices are top notch as well! For only $69 a document, you will be given the maximum service for what you pay! Look no further because our passport translation services will blow you away! We are proud to tell you that Perth Translation is home to hundreds of NAATI certified translators. They will be the ones handling and translating your passports. For seven years, our translators have been maintaining or rather improving their quality of translations. When you order a passport translation service from us, you can be sure that the quality and the accuracy of the document is 100% better than the source document. Your document will be NAATI certified and will be accepted by any government agency or company. When you are still unsure, don’t sweat it! We will estimate or quote your document for you. If you need it to manage your finances or even to get a second opinion, we are here for you! Just simply send us a photo or a scan of your document and we will send you a quote free of charge within 15 minutes. Send us a photo or a scan of your passport, after 15 minutes we will send you a free quote. Make sure that you add a few of the services you wish to order as well, like for example, rush passport translation or standard passport translation. Once you have come into terms with the quote, send us your payment via, PayPal, credit card, or bank transfer. There are the payment methods for you to choose from. Once the transaction is complete, we will start working on your passport translation, assigning it to the translator most qualified to handle it. When the passport translation service is done, we will send you a draft of the finished document. If you don’t have any corrections by then, we will send you the soft copy right away via email. Great service. I was happy to have my document translated in less than two days. Thank you. I super recommend them! Fast, friendly and reliable service. Thanks so much for helping me so quick. Depending on the complexity and quantity, the standard time it would take is 2 to 3 business days. If you order the express service, we can complete it within 24 hours. Upon your request, we can send you hard copies, via the Australian post. If you need a hard copy sent to you, let us know via the Live Chat feature located on our website. Do you provide a NAATI certified Passport translation? Yes, Perth Translation has the best translators who specialise in passport translations. Of course, all of them matches the standards of the NAATI. Every document that you order translated from us will automatically be NAATI certified. Yes, you can! You can process your orders using our website. Simply follow the steps indicated above.